Home BUSINESS DAY 1: How Thika coped with the ban on plastic bags. DAY 1: How Thika coped with the ban on plastic bags. Some of the alternative methods Thikarians used to beat the plastic bags ban on the first day of implementation. The National Environment Management Authority (NEMA) yesterday started the implementation of the plastic bags ban, sending out officers to various locations to ensure compliance whose mandate, among others, include civic education to the ‘kadogo economy’. However, Monday the 28th of August 29, 2017 one of the most difficult days for residents of Thika Town as reality dawned on them as ban on plastics started taking shape. It was just very rare to spot anyone carrying polythene materials on Monday as a State-imposed ban on polythene bags took effect. The ban seemed to have mostly hurt small traders have heavily relied on polythene bags to pack products for customers. The worst-hit traders were the mama mbogas, fruit vendors, miraa sellers, boiled eggs and mandazi sellers, among others. Miraa traders have been caught in the dilemma. They fear brown paper bags would not hold as much as plastic bags. Mama Mbogas (vegetable sellers) reckoned that the ban will be a disadvantage to consumers, who depend on ready-to-cook products such as chopped kales (sukuma wiki) and peeled potatoes, as the products have to be stored in a water-proof bags. With few alternatives left for them, they had to look for something to use just to comply and run their businesses uninterrupted. Even though they supported the ban, majority of these traders praised plastic bags because plastic bags were good for storage due to their water-proof property, low cost and perceived hygiene for selling ready-to-eat products. They also identified their durability as an added benefit. A spot-check to various supermarkets and wholesalers of packaging materials, who had been popular stockists of the polythene bags, revealed that they too have also switched to biodegradable alternatives. Various supermarkets in town have launched shopping bags that can decompose to replace the plastic bags. Some packed items in old cartons, wrapped them in newspapers for customers that bought one or two items or advised their customers to buy shopping bags from them. The cheapest bag that is able to carry about three packets of 2-kilogramme flour went for Sh5. Some were giving the bags for free if customers buy items worth more than Sh1,000. In some cases, customers buying items like water, sodas, yoghurt and small snacks had to walk out of the supermarket with their items in hand. Several shoppers used alternative bags such as traditional baskets (kiondos) woven bags, papyrus and palm baskets that retailed at below Sh. 80. But despite seemingly high levels of compliance, majority of those we talked to lamented the high cost of the transition as reality hit home. 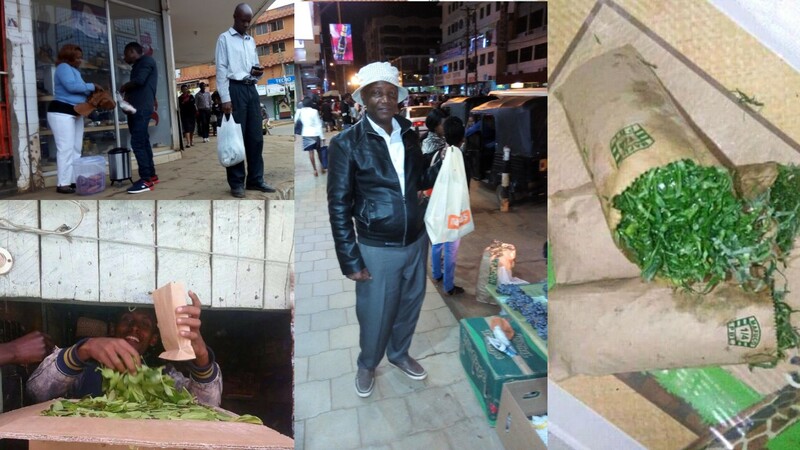 To take advantage of the opportunity presented to them by the ban, a battery of hawkers who had switched from polythene bags to alternative packaging of all sorts - including travel bags swamped Thika streets and encouraged pedestrians to buy them to beat the ban. Last week, the Government maintained it was not going to relent on the push to ban plastic bags which are blamed for polluting rivers and blocking drainage and sewer systems with the Environment ministry saying that it will first act on the manufacturers before eventually reining in users. According to Environment Principal Secretary Charles Sunkuli, there are at least 179 registered manufacturers of plastic bags in Kenya. The High Court also dealt a blow to players in the plastic industry on Friday after it declined to suspend implementation of the gazette notice stopping use of carrier bags. Environment and Land Court Judge Bernard Eboso said public interest tilts in favour of not granting the orders sought. Plastic manufacturers and importers wanted the ban by the Environment ministry temporarily stopped. But in his decision, the judge said the notice is intended to control the plastic menace to the environment.